Location a couple of hundred meters off of the Gran Via was great. The kitchen was great for us (family with children). Staff was helpful. The price was good given the great location (close to the center, not too noisey). Everything was perfect, cleanliness, location, staff especially Raùl & Diandra. Excellent location, ,,,have an excellent recption 24 hours. Good security. Fantastic location Comfortable and spacious 2 bedroom apartment with additional sofa bed in the living room. It’s the best combination between an Airbnb and an actual hotel because there’s front desk receptionist 24 hours a day. Very clean, quiet, close to Puerta de Sol but far enough to be quiet and a pleasant neighborhood. I loved the hotel wonderful location. Great value . I'm definitely returning. Of you are ever in Madrid this is the place to be. 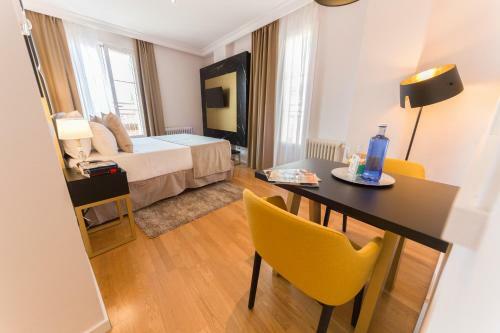 Lock in a great price for L&H Gran Vía Selection – rated 9.1 by recent guests! 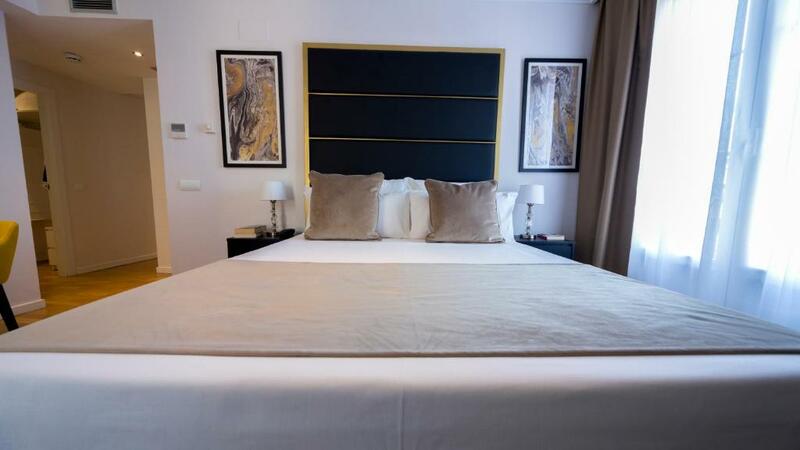 L&H Gran Vía Selection This rating is a reflection of how the property compares to the industry standard when it comes to price, facilities and services available. It's based on a self-evaluation by the property. Use this rating to help choose your stay! One of our best sellers in Madrid! Set 650 feet from Gran Via Avenue, Gran Via Selection is an aparthotel centrally located in Madrid. 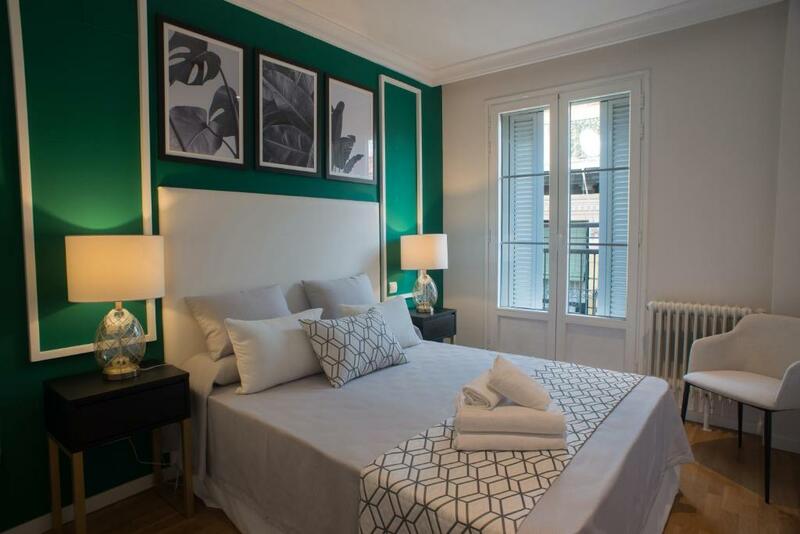 The apartments feature wooden floors, air conditioning and free Wi-Fi. Each heated apartment has a living room and a kitchen equipped with a microwave and a fridge. The private bathroom comes with a bathtub or shower. 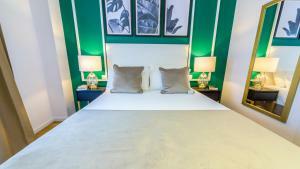 Bed linen and towels are provided and daily cleaning is included. 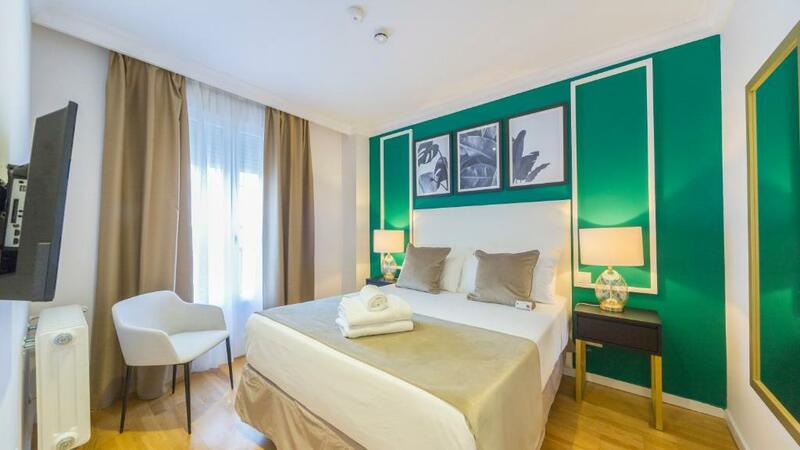 Gran Via Selection offers a 24-hour front desk, wich can provide touristic information. Private parking and an airport shuttle service are available at an extra cost. 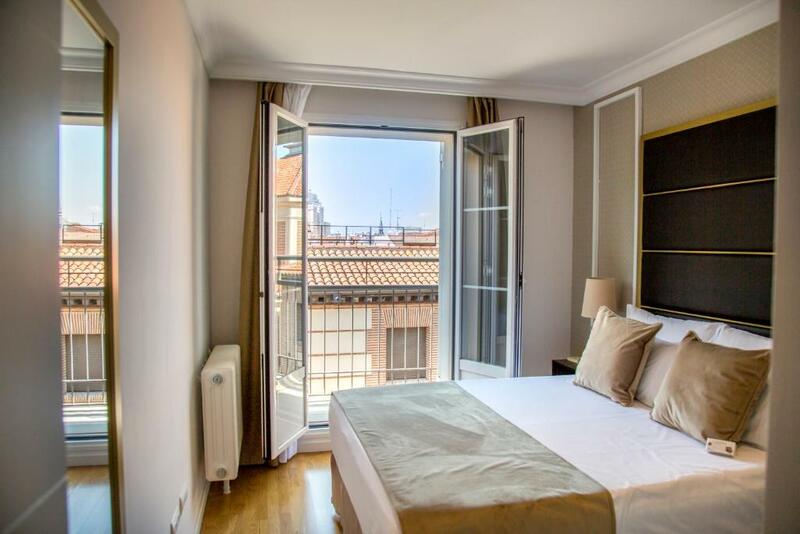 Set in Madrid’s historic center, guests will find a large variety of shops, bars and restaurants in the area. Plaza Mayor and Plaza Cibeles can be reached within a 10-minute walk. Chueca and Callao Metro Stations, with connection to Atocha Train Station, is 800 feet from the property. 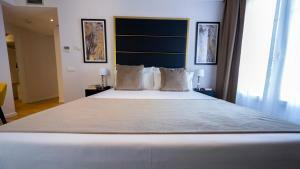 When would you like to stay at L&H Gran Vía Selection? 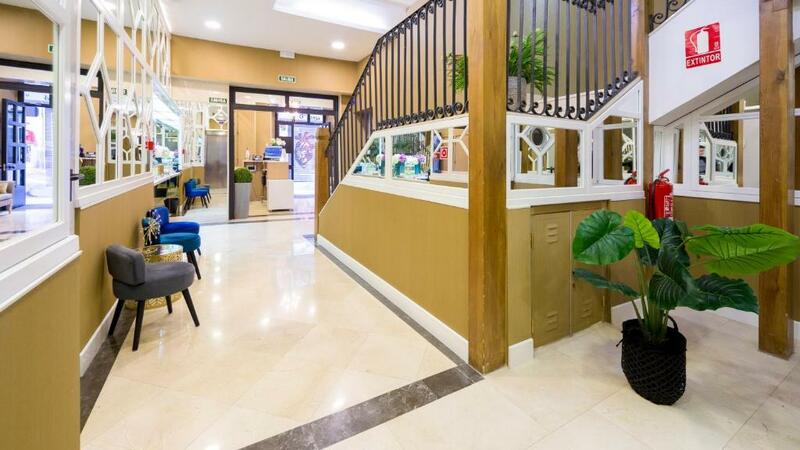 Featuring wooden floors, air conditioning and free WiFi, this heated apartment has a living room and a kitchen equipped with a microwave and a fridge. The private bathroom comes with a bathtub or shower. Bed linen and towels are provided. 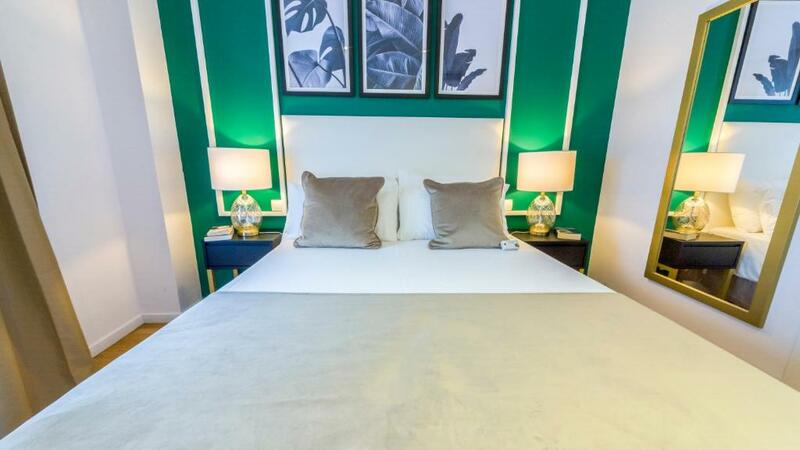 Guests can chose between 1 double bed or 2 single beds. Additional beds or a sofa bed can be added under request, charges may apply. This double room has a balcony, stovetop and toaster. Nuestro establecimiento se trata de un edificio histórico, completamente reformado y modernizado, que conserva el espíritu tradicional. Equipado y decorado con mucho encanto. Nuestro personal es cuidadoso hasta el mas mínimo detalle y ofrece un servicio excepcional a nuestros clientes. Estamos situados entre los castizos barrios de Chueca y Malasaña. Localizados en pleno centro historico de Madrid, entre distritos de actual tendencia y plagado de bares con historia y otros tantos renovados hasta el último grito. Además es una de las zonas más comerciales de Madrid donde podemos disfrutar de todo tipo de tiendas. House Rules L&H Gran Vía Selection takes special requests – add in the next step! L&amp;H Gran Vía Selection accepts these cards and reserves the right to temporarily hold an amount prior to arrival. L&H Gran Vía Selection accepts these cards and reserves the right to temporarily hold an amount prior to arrival. Please note that the car park entrance is located at C/ Valverde 16. Please inform L&H Gran Vía Selection of your expected arrival time in advance. You can use the Special Requests box when booking, or contact the property directly using the contact details in your confirmation. We had some trouble with the heating. It was either too hot (with heating working) or too cold (without heating). Due to the central location, noisey at night, including 3-4 in the morning, so windows must be closed. 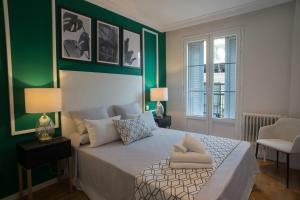 Great value apartment just off Gran Via and central to all the main barrios of Madrid. Room was spacious, good condition and clean. Excellent Location, Value for money and very friendly and helpful staff. Raul was fantastic, his tips on where to visit and what to see were very helpful to us and he asked enough questions to help him tailor his advice to our likes. We loved the places he recommended. Lovely funny man, thank you! Great location,great staff and great conditions!